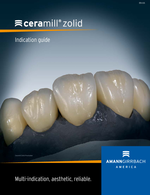 Economic, yet aesthetic results can be achieved using Ceramill Zolid Preshades. 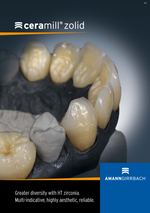 The factory preshaded blanks are sintered directly without staining and are used as fully anatomical restorations or the framework for restorations with porcelain veneering. 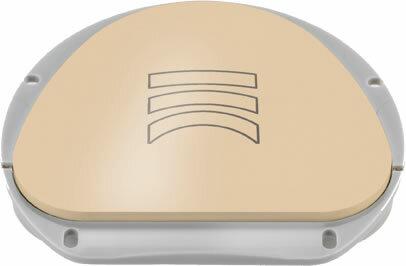 Ceramill Zolid Preshades are available in 4 shade levels and cover 80% of the most commonly used tooth shades in the laboratory. Dentine shades A1 - B3 can be attained in combination with the stains and glaze porcelains of the Ceramill Stain & Glaze kit. 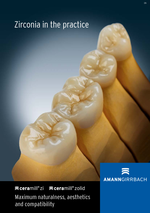 The Ceramill Preshade Bleach blank can be used for much lighter tooth shades. It is possible to customise restorations further using the Ceramill Stains to produce an even more aesthetic final result.